I’ve had the pleasure of fumbling around the Mauerpark flea market twice since I dropped anchor in Berlin. I was told there would be flea markets here. The legends were true: My first encounter with the Mauerpark flea market was on one fateful Sunday morning. I woke up on this Sunday morning well into the afternoon and had missed the cut-off for the bounty of quiche that the Bard College Berlin cafeteria provides. I resolved to head to Kaiser’s, the supermarket nearby campus, to find something to quench my appetite for breakfast and start my day. This has become a common occurrence for me as the unpredictability of life makes it difficult to reach the cafeteria in a timely manner. Upon reaching the entrance to the supermarket, I saw a man inside who I had become familiar with. He was packing boxes onto a cart. He looked over at me and shook his head. Kaiser’s was closed. It was Sunday. Just then I remembered how everything is closed on Sunday’s in Berlin. Well… almost everything. Berlin Sundays are legendary for their flea markets. I arrived back at my dorm to a message from my friend asking if I wanted to join him at the Mauerpark flea market. I went for it. What did I have to lose? I got on the M1, the tram of gods, and embarked on my journey to Mauerpark. I got off at Eberswalder Str. and even ran into some fellow Bard students as I walked over. I found my friend at the gates. My goal was to find a bike. After a coffee and falafel, my friend and I approached the gates. Before we could even enter, we saw an older man hustling a hot pink bike. He said it was 30 euros, which sounded too good to be. I got on it for a test ride and found it was alright. There was only one break and only one gear, but I’m only here for one semester and a bike won’t fit in my carry-on. It was the first bike I saw and I wanted to see what else there was, so I told the man I’d be back. He said he’d be leaving in 30 minutes. Naturally, it became a race against the clock. I made a quick run through the flea market, scanning the scene for bike peddlers. I remembered another man I saw who looked like he was selling bikes near the entrance. I went to check it out and saw that he was being questioned by the police so I did not intrude. I hear a lot of these bikes are stolen. I came back to the original bike salesman and started bargaining. I asked for 20 euros, he said 25, I said 20, he said 23, final offer. Then a couple of women came by and looked intrigued by the bike. I guess the salesman did not speak German well. He just kept saying “Damen, Damen” (“Ladies, ladies”). He told me not to move so as to incite a bidding war. My friend and I stood by while the two women checked out the bike. I was worried they would purchase it, wishing I had pulled the trigger on 23 euros. They eventually left, though. I gave our man the 23, and I was off. I then found a lock in the flea market for only 10 euros. It was a good day. Weeks later I got a message from a bartender I had befriended in Mitte telling me to come by his stand at the Mauerpark flea market. It was a Sunday, of course. I decided to come by. Upon my arrival he bequeathed me a free shirt. I liked it: It was a short sleeve, elephant-print button-down. I hung out with him and his friends at their stand. They told me all about the flea market from a salesman’s perspective. They told me anyone can have a stand — you just need to go to the market one week in advance and reserve a spot for 30 euros. I asked them if they would recommend any particular food at the flea market. They told me about a Japanese cuisine stand. I went after it. There they gave me the choice between fish, meat, and vegetarian. I usually go for meat but was feeling fish that day — I couldn’t tell you why. I ordered “fish” without knowing what I was going to be handed. It could have been a whole piece of fish for all I knew. I didn’t care. It was essentially a wheat pancake with fishy flakes on it. As I passed through the stands, I got more food. I got a delicious beef empanada from a South American stand and many cups of coffee from all over. 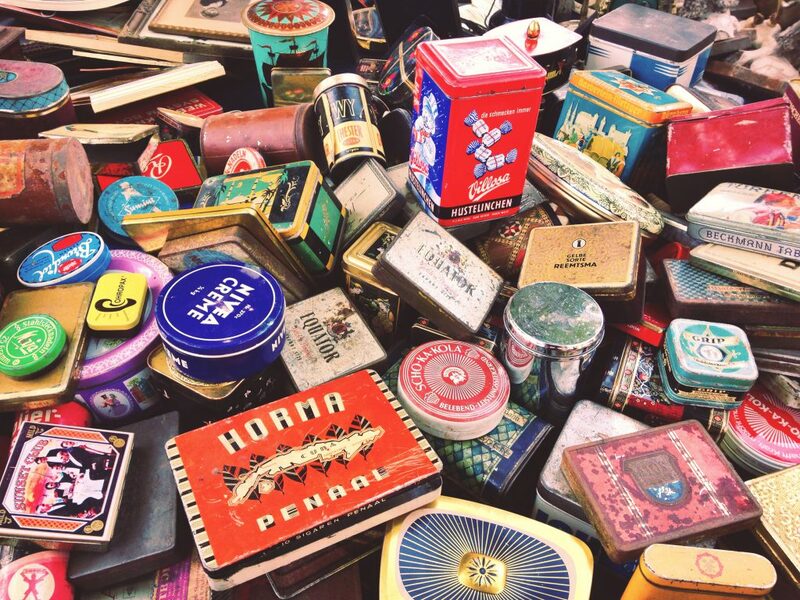 The most common stands in the flea market were for used clothes, jewelry, and large junk spreads. I’ve heard there are better flea markets elsewhere, that Mauerpark is overpriced and that the items are mediocre. I did get that sense. I heard there is a better flea market in Neukölln. The Mauerpark flea is fun, though — even if you don’t make a purchase. There are lots of people and good food. After I perused the stands, I sat on the steps of the park and listened to a busking singer. She had attracted a crowd. In addition, there were around ten people in her posse, sitting with her — just hanging while she sang. It was a pleasant scene. Pleasant is how I would best describe the Mauerpark flea market. It is well worth the trip! Loved this story! I felt like I was there. Where is the picture of you on the pink bike?